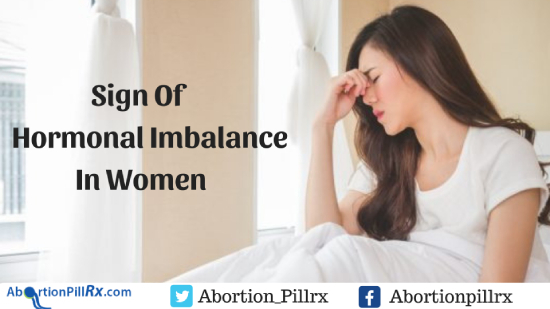 Signs and Symptoms Of Hormonal Imbalance In Women. Signs Of Hormonal Imbalance In Women. Hormonal Imbalance In Women: Most of the processes in our bodies are controlled by hormones. Subsequently, when the production is disrupted, it largely influences the mood, behavior, well-being and even appearances. Women on the verge of many hormones show different signs and changes in bodily functions. Below are some signs and symptoms women experiences during hormonal changes. Skin acne: Blackheads and acne can at times appear if the pores of the skin are blocked. 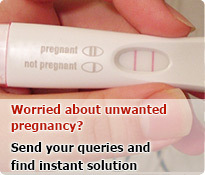 This at times is caused due to several hormonal imbalances the body experiences. The sudden appearance of acne on the skin is at times due to low androgen level in women. Ordinarily, during teenage, women tend to experience more acne over their face and skin, which subsequently reduce over the years. Fatigueness: Hormonal imbalances among women, tend to make them more fatigue than usual. At times even when there is regular sleep, the body tends to feel fatigued more often. Thyroid hormones are major hormones relating to the body’s metabolism, and chronic fatigue in women can cause irregular and undesired production of the hormone. Change in Weight: When the body experiences hormonal imbalances, there can be weight fluctuations to account for. The body can gain weight regardless of any foods it eats. Consequently, when there is a shortage of certain hormones, the body retains the fat mass and loses the muscle mass on a wide scale. This results in weight gain. Low level of testosterone and high levels of estrogen can at times lead to the storage of fat in the belly area. Hair Fall: Dihydrotestosterone is a hormone responsible for pattern baldness. It is generally formed from circulating free testosterone. As a matter of fact, when women have an unusual amount of testosterone in them they generally see the thinning of hair follicles, which gradually leads to pattern baldness in due course. Sleep Problems: Being insomniac is a serious condition, which can largely affect women’s health. On an overall, it relates largely to the levels of progesterone. When progesterone is low it can lead to insomnia and high levels of anxiety. Progesterone mainly acts as the body’s natural relaxant, which calms and rejuvenates the body. A subsequent change in the level of the hormone leads to increasingly high levels of insomnia. When women give birth, they have frequently low levels of progesterone, which causes them to sleep less during this period. Forgetfulness: Low focus and forgetting things are one of the many sins of hormonal imbalances in women. Low cortisol and estrogen levels make remembering hard in women, letting them forget things much. Inability to focus, with an unclear mind, are the signs of forgetfulness which can get a future issue of Alzheimer. Additionally, low cortisol levels influence short-term memory loss to account for. This entry was posted in Birth Control Pills, Women's Health and tagged birth control, Hormonal Imbalance, Ovral G, women's period on January 2, 2019 by admin.